"We heard our fans loud and clear and they told us they want more Chocolate Glazed Doughnut days"
WINSTON-SALEM, N.C.--(BUSINESS WIRE)--Krispy Kreme Doughnuts is satisfying fans’ weekend cravings by bringing back its wildly popular Chocolate Glazed Doughnut on the first Friday of every month beginning Friday, Sept. 7, at participating Krispy Kreme shops across the United States and Canada. 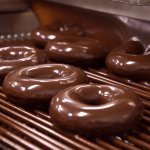 Chocolate Glazed Doughnuts will be available on the first Friday of every month, while supplies last. To find a participating Krispy Kreme shop near you, visit www.KrispyKreme.com/ChocolateGlaze. 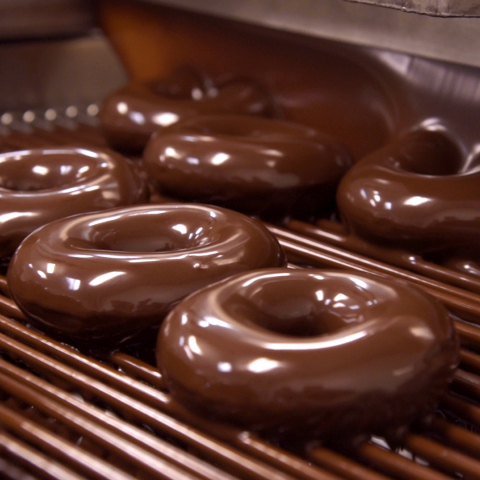 Show how you’re celebrating your ‘TGIC-Chocolate Fridays’ by tagging @krispykreme on social media.